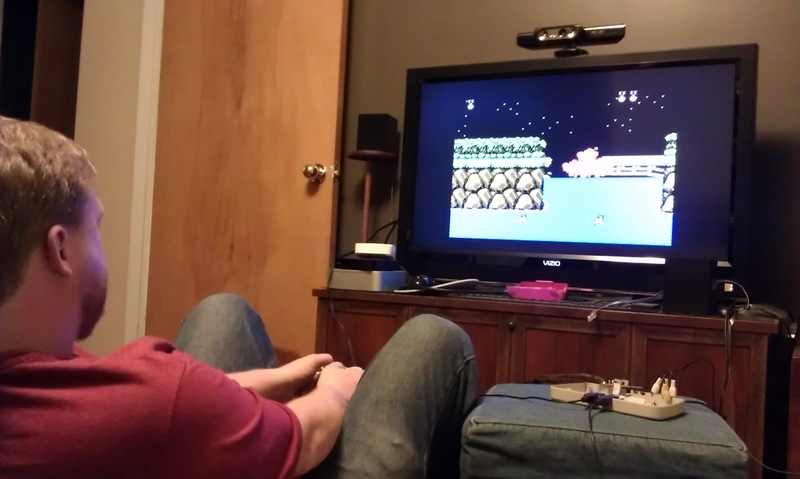 Yes, that is Contra you see on the TV. The original NES game that I used to play with my childhood friend Melissa. We never got very far but we certainly loved playing that game. So how were Chris and I playing this? On a very odd device he purchased that has 248 "classic" games on it. It has Dig Dug; Turtles 1, 2, 3; and a bunch of other odd games like Mario 16 (which appears to be Joe and Mac modified so that you play as Mario). Chris has more information on his blog.